Some of the books contain links to purchase, as well as additional information. Click on the picture or see your local Christian book store! 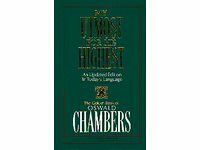 This book was an eye-opener to me, someone who at one time chronically judged others, especially Christians who had seem to fall into sin. It wasn't until I found myself in the same position - although I love Christ more than anything I found myself sliding into sin, so gradually that I didn't take notice until I was in deep. I know that many would not agree with me (or the author for that matter) in that we are all accountible for what we do; however, we are in an age where sin is subtle and the enemy is doing whatever he can to draw us away from and insult Christ, maim us, destroy us. The temptations we face are difficult enough without the devil carefully plotting out a custom made plan to bring us down. This book explains how and why Christian seduction happens, how we can recover and what we can do to fight it. After dealing with many "unsafe" people in my life - those who take advantage of kindness, generosity, tolerance, who use and abuse and even come out as the victims, I grew interested as to why I seem to get into these situations and what I can do to avoid them. This book is easy to read and packed with a variety of real life stories. It gives a clear explanation as to those who are safe, and those who are not and what to do about them. 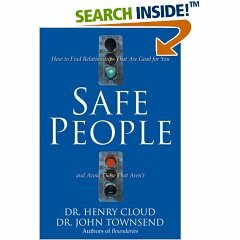 It also points out how we ourselves can be unsafe too, and what to do about it. Do you have difficulty understanding the man in your life? Do you wonder sometimes why he does the things he does? 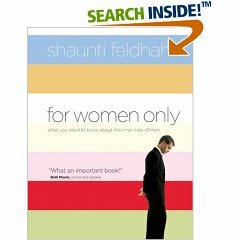 For Women Only is an excellent book that will help answer these questions for you. It explains, based on interviews with hundreds of random men of all marital status, how men are wired and the best (and worst) ways to respond to them. You will gain a better understanding and appreciation for your man, and celebrate the differences between men and women, rather than getting frustrated and resenting them. For Men Only is also available, and is a general, but accurate portrayal of the female mind. Rarely have I found a Christian self-help book that is so easy to read and understand, and so applicable to so many different situations. Healing is a Choice discusses a whole range of hurts people can experience: rejection, betrayal, abuse, and why the pain keeps resurfacing after we have felt we have "dealt" with it. The author, Stephen Arterburn, discusses real-life experiences, including his own, that have caused brokeness and pain and how it was dealt with. Originally I bought this book for someone, but decided to read it myself, first. Sometimes we Christians fall into the habit of throwing a bunch of books in someone's lap instead of bothering to understand. It taught me the importance of really listening to those who are hurting and how my words can have a strong effect on them, either good or bad. It taught me understanding and convicted me in areas where I am so quick to judge a situation without knowing the whole story. Also, I recognized hurts in my own life that I have not dealt with, and the importance of dealing with them now before they get worse. 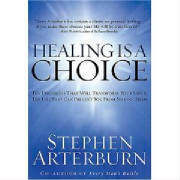 Stephen Arterburn is a very real, down to earth, NOT holier-than-thou Christian counselor who talks from experience the importance of chosing to deal with your pain NOW, rather than hide in a shell and hope it goes away. I highly recomend this to anyone who is hurting, and the pain just doesn't seem to be going away. I also recomend it to those who deal with hurting people, either friends, relatives or those in their profession, to gain a better understanding of the pain they go through, and why. I received this 450 page book from a good friend and finished it in less than a week. It is a fiction story about a man of God seeking a wife, and is called by God to marry a hard, broken prostitute. The story not only makes us aware of the capacity of human unconditional love, but also the profound, immeasurable love of God--a love that keeps no record of wrongs, loves unceasingly, always forgives, always perseveres. This is a foreign concept in a world where we're encouraged to go after what is good for us, and give up on things that cause us difficulty or don't seem suited to us as best as we'd imagined. 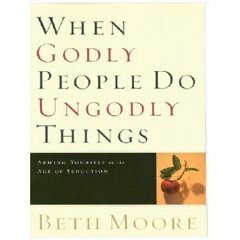 If you are in a difficult relationship where only the tug of God's hand urges you to love someone who is hurting, broken, and maybe even impossible to love, this book with make your heart overflow with love for them and encourage you with the possibilities that only "Redeeming Love" can bring. This is a 366-day devotional which deals with the deeper issues and struggles we face as Christians. I found Streams a refreshing way to start each day, giving me new insight for troubles such as worrying and trials, and the importance of faith in God. The devotions are short, but full of inspiration and like me, I'm sure you'll find yourself looking forward to each devotional each day. I received this book as a gift and haven't stopped reading! Chambers devotions are deep and convicting, and sometimes I find myself re-reading the daily devotional to make the most of it. I have made this a key part of my night time reading, before bed. You can even preview the devotions at amazon.com by clicking on the picture. If you find yourself falling for the wrong ones again and again this book will tell you why, how to avoid it, and most importantly, that you're not alone. Even if you are married and find yourself comparing your spouse (and maybe even yourself) to others who are better looking, more fun to be with, and yes, are even stronger Christians this would be a great book for you. Strongly recomended read for women of all ages, and all marital status. 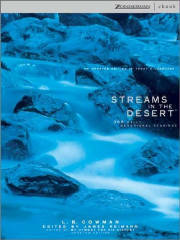 You can also preview this book at amazon.com by clicking on the photo. From the inside flap: When does an affair begin? Not with the first forbidden touch…but with the first forbidden thought. Unexpectedly, you find yourself enjoying a powerful emotional bond with another man. You feel like you matter to someone again. And the door you thought was locked so firmly–the door to sexual infidelity–is suddenly ajar. The only way women can survive the intense struggle for sexual integrity is by guarding not just your body, but your mind and heart as well. Every Woman’s Battle can help you learn to do that. Using real-life stories and examples from her own struggle, Shannon Ethridge helps women like you–whether married, engaged, or planning to marry someday.